The description for this project was to make a composition that reflects our natural environment or wilderness - things that have not been substantially altered by human intervention. Field recordings of: Lake Ontario at Chimney Bluffs, NY; drips after a thunderstorm in Chicago, IL; crickets at Chimney Bluffs, NY; crows at Graceland Cemetery in Chicago, IL. like many tracks on this compilation the detail and texture of this recording is fantastic, i've found while listening to this album i had to pee quite a lot, congratulations to everyone. Walks into wilderness around town by late night. This is kind of a generative piece. Collected samples into a pool, random triggered plus wurlitzer+strings driven by fractal formulae (thus the connection with the main theme) all these treated using exclusively delay & pitch based fx. wonderful Raul !! very inspiring. More of this please! The Menai Strait (en.wikipedia.org/wiki/Menai_Strait) is a narrow stretch of shallow tidal water about 14 miles (23 km) long, which separates the island of Anglesey from the mainland of Wales. One of the most dangerous areas of the strait is known as the Swellies (or Swillies - in Welsh Pwll Ceris) between the two bridges. This track is composed using ADCP current data from the Menai Straits collected over a period of 3 days. The current data was transfered to MIDI pitch data in Sonification Sandbox according to the following map: Current Speed - Piano 1 (Left); Tide Hight - Piano 2 (Right); Current Direction - Piano 3 (Center); Mean Average Tidal Hight -Ambient Pad. beautiful... interesting concept of turning into pitches the data. it remembers the days when i tried to koanize any sound paramenter in my faky-pseudo-random compositions. but that was my case not yours, for sure. you resolved the matter more efficiently and the result is quite fantastic. now ceris seem a very relaxing place... ;-). Mesmeric - a fascinating concept, beautifully realised. very intense and true sounds, gentle tim. something is hardly to find among the dreamy stuff nowadays. yes. i can enjoy all these sounds at a time. even if i don't understand a single word in german. 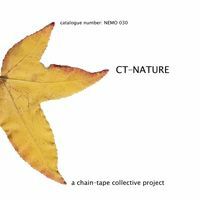 The project CT-Nature was to find an area in nature which is untouched or otherwise not affected by mankind. After much deliberation and several other attempts at things like wind, aurora borealis and volcanoes, I arrived at the idea of the deepest oceanic depths. And, thusly the idea of the abyssal plain was born. The song is a combination of synthesized sounds and real recording, joined with a muted drone underneath. Used were recordings available from archive.org, freesound.org and noaa.gov. Written, recorded, produced: July, August 2008.
abyss for one of his double neck impros. best recording on the album, meister recordist! to this track since anders' comments on the mailing list. (and thus) interesting procedures on the nature project. can't stop listening again and again ... damn good! colours and make it work. creator unmasked, mr. nick! .. how i love gtr. intro!. at first listen seemed a string quartet of his own... was it?. Extreme Sound Stretch' (hypermammut.sourceforge.net/paulstretch/). Tibetan singing bowls and native american drum complete the soundscape. It's a combination of a natural summer thunderstorm, some artificial storm sound loops and guitar loops and a little bit of synth loop. This piece attempts to recreate my emotional experience of a forest in Thailand; this is the furthest from civilisation that I have been with recording equipment outside the UK. The raw recording could easily have been presented alone, so an untreated version runs through the track acting as I kind of 'floor' for other elements to grow and intertwine. So sonically translated are the awesome heat and humidity, the enveloping claustrophobia and isolation and the green foliage in its millions of shapes. As we trekked further into the undergrowth the unidentifiable animal noises ringing out all around us got more and more intense as they signalled intruder alert to the whole forest. Here you could really believe there was a magical force at work both beautiful and intimidating, I hope if you shut your eyes and listen to this track it could transport you to this place, enjoy. alert!. mastery on this track sighted. my home projects in the future? into a tiny stereo file? The hum of air conditioning, distant shamisen melody, police sirens, racing scooters, desperate attempts to get sleep after a 22-hour flight were annihilated by frogs. An arrangement made from recordings of many different species of life on Earth. mr. sandler. i enjoy this track best at full volume. listen at night & turn off the lights to get maximum effect. Wonderful. It is called 'Neptune's Invite To Davey' and is constructed with a Binaural recording of Brighton Beach I made and some Subtractive Synthesis using a Synthesizer I created in Reaktor. The concept of the track based around the folklore of 'Davey Jones' Locker' (http://en.wikipedia.org/wiki/Davy_Jones_Locker). How this track relates to the CT-Nature concept... the sea washing up on the shore is a sound that has probably not changed for millions of years, and although we have altered the Nature of the sea via pollution and attempt to harness its powers... the sound of the sea washing and lapping up upon the shore still remains the same...it is a natural sonic environment that has not been substantially altered by human intervention, and if we close our eyes this sound could transport us back millions of years. The Subtractive Synthesis section and the concept of 'Neptune's Invite to Davey Jones' can be thought of as a representation of our effect upon the sea, our imprinting of our ideas and processes upon the sea's natural being. poor sea! nothing good's going to happen to it... thrilling. the insistent synth riff fits perfectly with the found sound. Aquatic menace! Post-rainstorm field recording processed with Moog phaser, delay, and Heil HT-1 talkbox, layered with unmodified audio in Audacity. .. is tom waits testing the mic or what?.